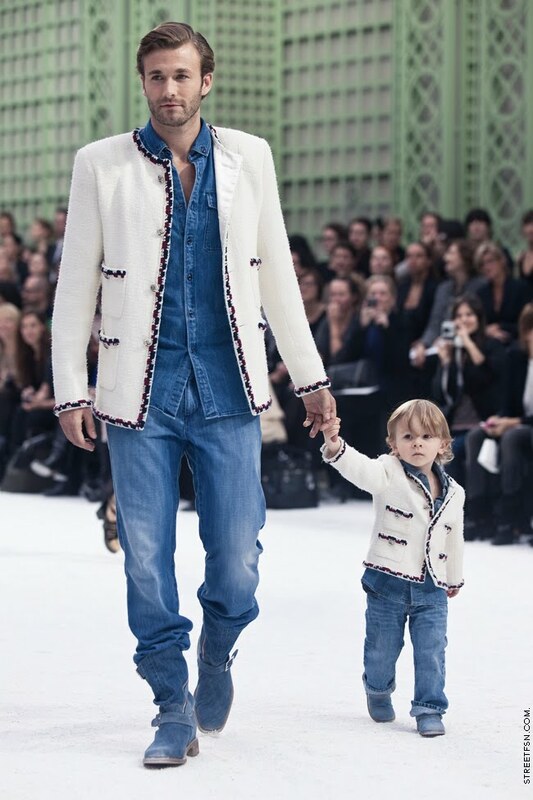 When families opt to dress alike, Chanel is the right way. Beautiful shots and love their outfits. AHH so adorable! I just love his son's "runway way". Uber cool. So sweet. One of each, please! Totally adorable! I love the washed out processing you use. Love how they match. So sweet! this is so cute! i love the last photo - it tell such a story! that's a lot of denim. that is adorable!! thanx for sharing! that definitely looks like a jacket i'd still from my bf's closet! the son looks adorable. I can't get over how adorable this is... Seriously amazing shot.